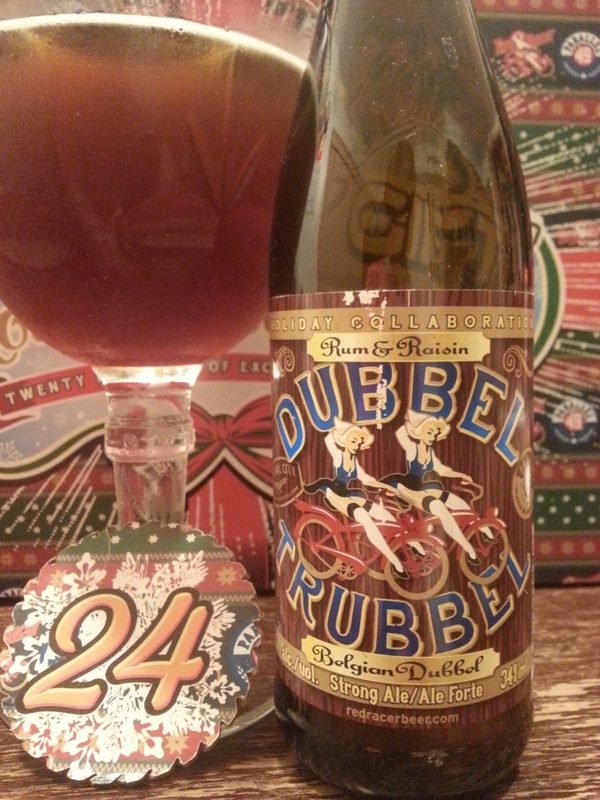 Central City / Parallel 49 2014 Mystery Gift Holiday Countdown Calendar Day #24 – Rum & Raisin Belgian Dubbel | Justintoxicated. -Done with 2014 calendar 2 years late, the summary will be posted shortly. Visual: Pours mahogany reddish brown with a quickly dissipating low head, suspended micro sediment, ringed retention, a few bubbles here and there. Finish: hints of rum, residual acidic-tangy malt finish. Summary: The 24th and last beer of the 2014 countdown calendar; what a letdown. Desperately lacking in carbonated mouthfeel and neither rum nor raisin are prominently showcased.